Our Living LanguagesWhat can you learn about indigenous languages in BC? What is your mother tongue? Maybe English was learned later or alongside your first language. The phrase “mother tongue” reminds us that the language we grow up with is closest to our hearts, our identity and our world view. For BC’s First Nations, connection to home is most aptly expressed through 34 distinct languages that have been linked to very distinct territories for thousands of years. BC is known internationally as a language hotspot because of these 34 languages. To celebrate this, the Our Living Languages exhibition (June 2014 – June 2017) was created in partnership with First Peoples’ Cultural Council and their advisors from Nations around the province. What do Indigenous languages sound like? You will hear a few samples here on the Learning Portal, but all over BC, First Nations communities are working hard to protect and teach their languages. Listen closely: what is the language of the Nation just outside your front door? Discover what communities throughout the province are doing to help their languages survive and flourish. Examine works of art by First Nations artists expressing their views of language. Read deeply about indigenous language work in BC. Close your eyes and hear lullabies in Listen. Click here, then scroll to the bottom, to view the BC First Nations Language Families Map. What inspires you about BC’s First Nations languages? 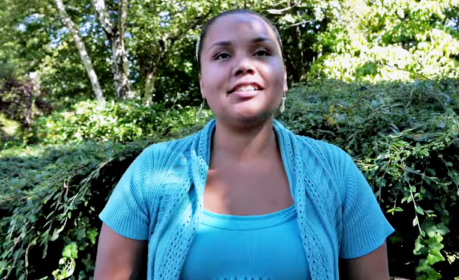 Watch Language Champion Renee Sampson, from WSÁNEĆ (Saanich), speak about her indigenous language. Listen to language heard in the home and from the heart. 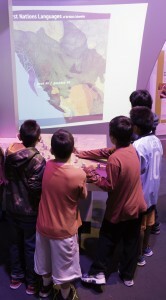 Examine photographs of visitors and objects at the Our Living Languages exhibition.